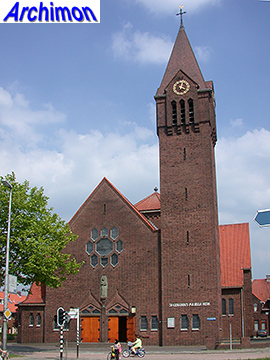 After a design by H.W. 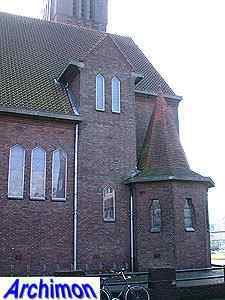 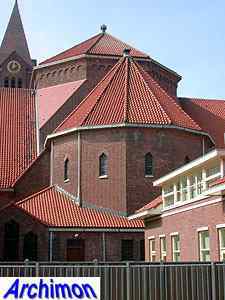 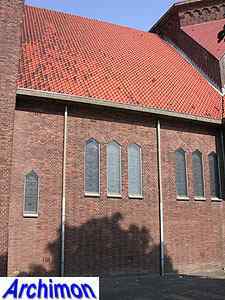 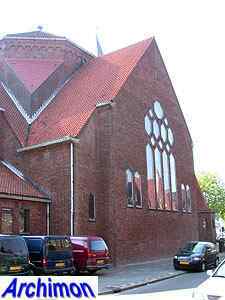 Valk had been rejected, H.C. van de Leur was invited to design a church for the newly founded parish of St. Gerardus Majella in Utrecht. 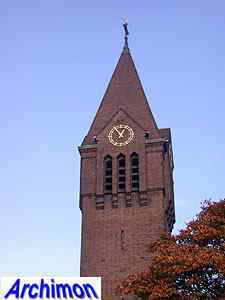 Van de Leur finished his first design within 14 days, using his St. Remigius in Leuth, the design of which was almost finished at that time, as an example. 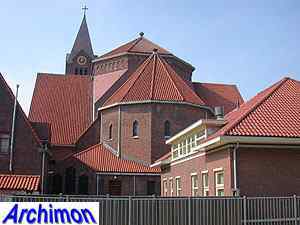 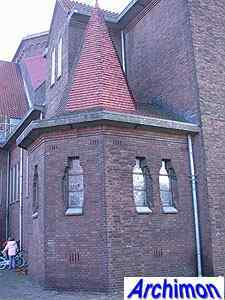 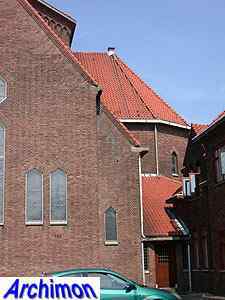 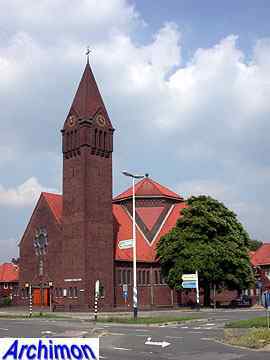 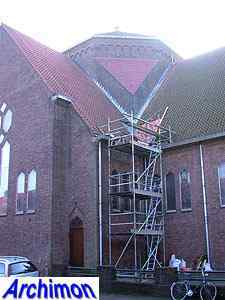 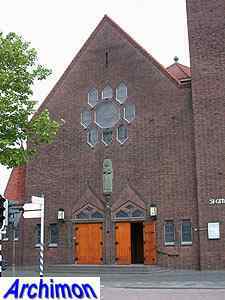 The church in Utrecht would be Van de Leur´s last church in Expressionist style. 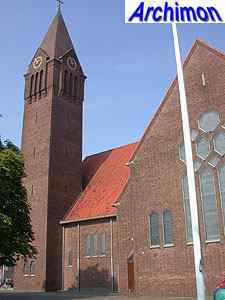 Generally, it is a larger version of the church in Leuth. 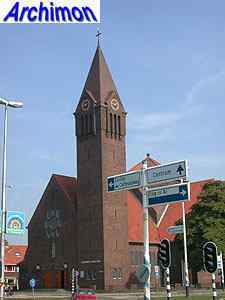 Both are cruciform churches, both have the tower at the left corner at the front and a baptistry at the other side. 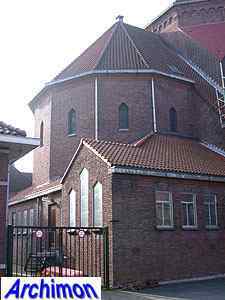 The St. Gerardus Majella however shows some major differences, apart from its size. 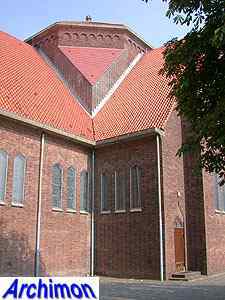 Its nave is three aisles wide, and the entrance is positioned at the front, not the side. 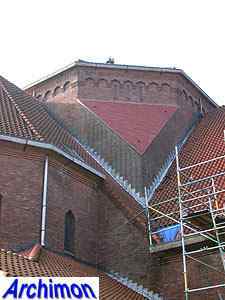 The crossing is covered by a polygonal dome, which was designed with the help of Van de Leur's former employer Dom Paul Bellot. 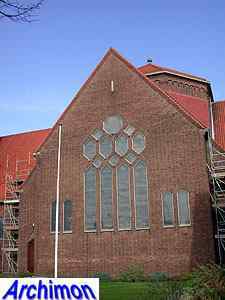 On October the 21st 1934 the first brick was laid, on September the 2nd 1935 the building was complete.